Why Do Bananas Cause Indigestion? Do Bananas Cause Constipation or Diarrhea? Bananas can cause either diarrhea or constipation depending on the person. For some people, yes, bananas will bind you up; for others, in fact, bananas can have the opposite effect and cause diarrhea. It all depends on the individual who is eating them and the condition of the banana in some cases. According to wholesomebabyfood.com, the main culprits when it comes to constipation in infants are bananas, applesauce, cereals, breads, pasta and white potatoes. 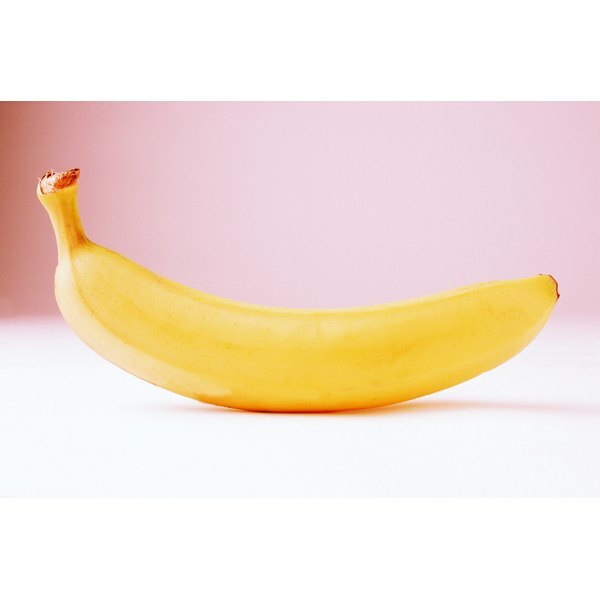 Organizedwisdom.com explains that bananas can be beneficial to someone who has irritable bowel syndrome (IBS) and is constipated. Bananas consist of insoluble fiber, which helps relieve constipation. Ironically, bananas can also be helpful to an IBS sufferer who is plagued with diarrhea. Eating a couple of bananas a day will stop diarrhea. Bananas are the cornerstone of the BRAT diet: Bananas, Rice, Applesauce, Tea, which all help with gastrointestinal distress. According to Buydominica.com, the ripeness of a banana will determine whether it makes you constipated. Unripened, green bananas can make you constipated. These bananas are full of heavy starches, which can exacerbate constipation. On the other hand, a ripe banana, because of its fiber content, can help move the bowels through the intestinal tract so, in that respect, bananas are good for relieving constipation. The potassium that is found in ripe bananas will help stop diarrhea. The potassium content will replace needed electrolytes in your body. An enzyme called fructooligosaccharide is in bananas, and it hinders the fermentation of bananas once they are in your intestinal track, which helps prevent constipation for some people. This enzyme also assists in natural digestion. Chinese medical practitioners have a theory about cold and heat, which may help explain why bananas can both cause and cure constipation. Cold is an analogy for having too little energy and which makes it difficult for your digestive system to efficiently digest food and then eliminate it. In effect, you have too little energy to have a bowel movement. Heat reveals itself in your body by the drying up of your intestines, which produces dry stools and also leads to constipation. Bananas are considered to be cold and contribute to the cold condition in your body, while counteracting heat conditions. If you have heat constipation, which involves dry intestines and dry stool, bananas may relieve this condition. If you have cold constipation, bananas will only aggravate the situation. Diarrhea is considered an excessively cold condition. When your system is cold, it is not processing fluids properly. According to the Mayo Clinic, bananas may cause thickened stools. The Cleveland Clinic maintains that bananas contribute to constipation. If you are going to eat bananas, eat them in moderation and only eat those that are yellow with blackened spots on them, which means they’re ripe.